My name is Blanca Perez, however on FB you can find me as Giuseppina ( an Italian name I fell in love with and adopted as my alter ego!). I am a very friendly person that loves the arts! From painting, to craft making, to photography. 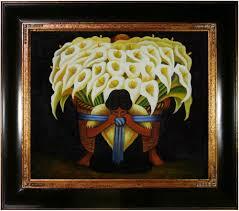 I was raised here in Dallas Texas but was born in Mexico. I am a strong believer in family, love, and the beauty behind a simple gestures that move mountains. I am the mother of two, a cute little boy (who's taller than me!) and a daddy's girl ( she's a chubster!). I love music and am all about being me at all times! Even when I am caught in the middle of all the funny awkward situations I get myself into! I have a kind heart and can be a big dork however that's ME. There's nothing better than getting to know my clients on a personal level. It allows me to easily grab the emotions they hide from the camera and capture them as they really are. Think about it, why do people get family/newborn/wedding/child photos ? Because of love. Wait, did I mention I am a REALLY, REALLY, corny person too!? Yup! That's me! And my writing may not always be on point, during college I found a trick to get rid of 'writers block' and it was to simply write, no rules, no grammar just you alone documenting you emotions, and apparently my mind stayed on the anti-writers-block mode. I am a very sensitive and emotional person with weird and crazy ideas. I get a lot of the "OKAAAAAAAAAY..." side eye looks and a 1,000 "I'm listening but have no idea what you are saying and am not even going to try to figure out" looks but it's okay. I have learned that not everyone has to understand me and love what I love they simply need to respect me and what I love. And they do. If you chose to hire me as your photographer for whichever session/event, read my posts and get to know me! I will try to build a short and interesting little friendship with your children! I have the BEST conversations with kids! We can talk for hours about Mine craft, Chocolate, Pokémon, bugs, flowers, soccer, baseball, etc.. Those are my favorite sessions. Kids warm my heart. And if your child is a little rowdy, IT'S OKAY! They have the best personalities and not to brag but 99.9% of them will warm up to me. Even the kid who once let their angry dog lose when his mom left the room. An angry dog who hated strangers and was ready to bite my head off, while I was packing after an in home session! It was so funny, awkward, and weird. I still laugh very loudly when I remember! Hahah! I didn't know if screaming was appropriate at the moment or if I was to uphold my professionalism and composure and remain calm! Well as you can see I'm a creative, weird, outgoing, sometimes loud, friendly, and kind human with crazy stories! Ask and you will see, very funny but so weird! Oh and did I mention my ADD?! There's a lot you can see about me just by what I have written! You could also probably tell that English is my second language and I don't always make sense. I my mind is thinking in 'Spanish mode' but I'm typing in the English language it gets pretty darn confusing! If you're bilingual, you know what I'm talking about ! *** Photography is an art and I am only there to capture what you have built and created in your home. LOVE. It's not about my camera, my equipment, your clothes, and perfect hair, but about taking a moment to acknowledge and FEEL the love you have for your husband and to remember all the little reasons why your family is so special, how many beautiful memories you have together, and the many more to come. I truly hope to have the honor and opportunity of freezing time for a split second and providing you with something you can hold close to your heart forever. 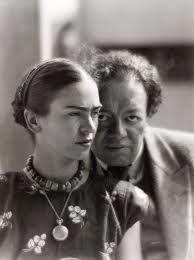 Below are some paintings by Frida & Diego Rivera (her husband who was a very famous painter). And some photos of them (this is where you'll understand my love for flowers and floral accessories).